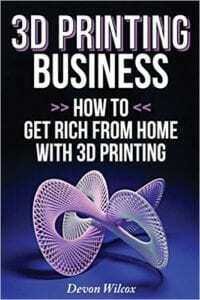 We get a little bit critical today of a book called 3D Printing Business: How to Get Rich from Home with 3D Printing. We found this book on Amazon and even though it was only $4, we think it is totally not worth it! But it’s not just the book, it’s the whole concept of ‘3D Print Get Rich Quick’ that we think really hurt the 3D printing industry. 3D printing is not a get rich from home overnight type of thing. It’s just not that. Hey, everyone. This is Tom and Tracy on the WTFFF 3D Printing Podcast. Today, I think we’re going to be highly critical of a book that we found on Amazon. I’m a gigantic reader and I’m always searching for new books, and sometimes I just finally get through the long list of various samples that I’ve saved in my Kindle, which sometimes be in the hundreds. I was recovering from a minor surgery and just laid up in bed. 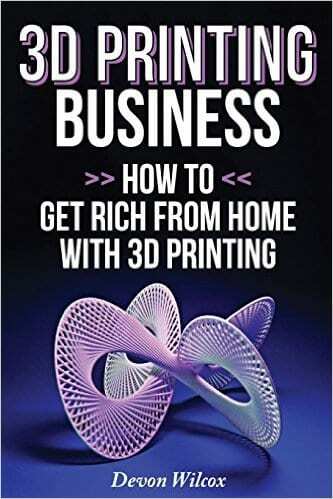 I was flipping through and I got through a lot of my books and I got to one called 3D Printing Business: How to Get Rich from Home with 3D Printing. 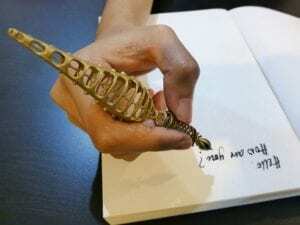 3D Print Get Rich Quick: I will not pay money for this book even if it’s only $4. It had me laughing but I actually started to read the sample of it. There’s no way I was going to flunk down the money for this book. It’s only $4 and that’s such a huge thing for me. If you wouldn’t flunk down $4 for a book on Amazon, that says a lot. I have a high monthly book budget and I definitely don’t even balk at the idea of buying a book for a research, but I just didn’t even want to give them my $4 for this junk. Even in the preview it says, “They’re going to cover the fundamentals of 3D printing.” You’re going to learn the fundamentals of 3D printing in a book that’s not that long, actually. You’re going to learn how it’s changing manufacturing, how to capitalized it. 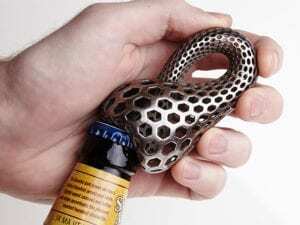 A simple step by step guide to securing all the required resources for your 3D printing business, which basically amounted to buying a printer, and downloading some software. Little known sites and services that would do most of the work for you. If anyone out there actually knows of any sites and services that actually do work for you and promote you and do all those things, I’m dying to know it. Please, send it to me. I have to say, this thing really does appear like clickbait to me, and I hate that. Trying to get you to buy it just because it’s a big headline and then you’re going to buy it, you’ve download it, you’ve read it. Are you going to go through that hassle, can you even return an eBook, a downloadable one for $4? Are you going to go through that hassle? My time wouldn’t be worth it. I’ve never returned a book, ever. This is something maybe most people don’t know about me, but even if it’s a really bad book, I actually read the whole thing. There’s only been a handful of books, I could count them on one hand, where I skipped to the end or something like that. It’s 58 pages for $4. I don’t know how you can cover the fundamentals of 3D printing in 58 pages. Let alone get rich from home. I got to tell you, folks. I just can’t stand that these books are out on the internet. They drive me crazy. Look, we love 3D printing. I love 3D printing. I’m not going to speak for others. 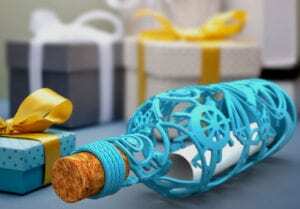 I love 3D printing, me, and I actually am weaving this into my business and I am making money with 3D printing, but it is not a get rich from home. That implies it’s on the side of your normal job. You can have a lot of fun with it, you can learn a lot, you can make some money with it at home. 3D Print Get Rich Quick: You’re not going to make a six figure income with 3D printing, not like this. But they say in their paragraph, “six figures.” You’re not going to make a six figure income with 3D printing, not like this. Certainly a lot of people are making six figure incomes in the 3D printing industry or in the 3D printing world, but not like this. Not at home just using a 3D printer. The books essence is you use a 3D printer, you enrol yourself on something like 3D Hubs, and you just offer up your services to be able to print to people. I would love to see the stats on 3D Hubs. I bet they would never release this. They do print out a heck of a lot of stats every month. I would love to see how much income the average person on 3D Hubs makes. I guarantee you, the average is in three figures at most, the average, maybe four, eking out over into a thousand dollars a month. I don’t know. I’d be surprised if it’s even that high. There’s a ton of these books about how to do this on Etsy. We know about how to do it on Amazon. We get it all the time. In that case, there really are people helped there. We have clients who do $250,000 a month on Amazon. But that’s selling hard products that are manufactured in a factory. It’s not just from one book. They not only read one book but they had to go and they had to take like twelve different courses, enrol in a bunch of masterminds. That’s what I learned from all of our clients that are in this place. You don’t get to that level buying a $4 or $7 book. Or forget buying the $4 or $7 book. No, you don’t get there buying a $500, $1,000, heck I’ll even go $4,000 FFF 3D printer or SLA 3D printer. 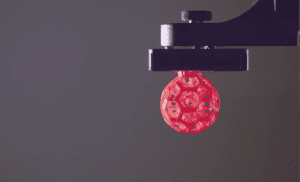 If you get a Formlabs Resin Machine or something. Even pseudo business desktop 3D printer in your home, I’m sorry, I don’t think you can print enough objects around the clock, and forget having the time to do the CAD work to make them, to pull in a six figure income just from that. I just don’t see it. Maybe a professional engineer or designer or something like that, you could make a six figure income consulting for a company. 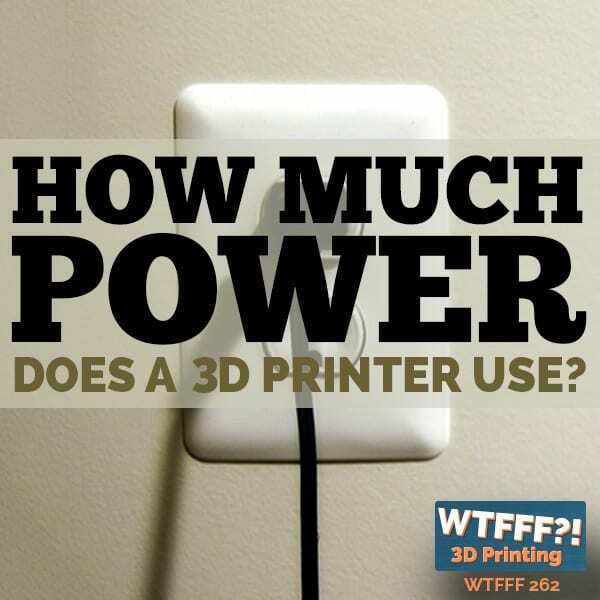 You may use 3D printing in that consultancy. It’s not getting rich from your home. We know this in the Etsy world. I have consulted for a whole lot of Etsy sellers over the years. They have the same thing. They all read this dumb get rich quick guides and then turned out that it’s so much harder than they thought it was. It’s really that what they don’t teach you there, and what they can’t teach you in this book, is how hard it is to promote yourself and get promoted. None of these sites, none of these service bureaus, none of them puts you to the top. It’s all on you to get your clients, to get your customers, to bring them in, to do all that work. Having a great product, having a great designer, having a great service is only a tiny little part of that. You got to get reviews. This is just not a side business that’s going to give you six figures overnight. It’s not. I’m trying to think of ways to try to demonstrate that here as we’re talking about it. I think we believe it. Certainly, we know it from our experience. But if we have a new listener out there today, listening to this episode. How do we really communicate that? 3D Print Get Rich Quick: It just isn’t fast, but it doesn’t mean it’s not worth it. There are ways to this. We have a lot of people who we’ve talked to over the years and we have people who try to start stores and are trying to start little design libraries and are trying to build up collections of a product. It just isn’t fast, but it doesn’t mean it’s not worth it. It doesn’t mean you’re not going to be there. It doesn’t mean you’re not valuable. It doesn’t mean you’re not learning amazing skills along the way. But it’s not going to be, and I quote that book here, “All you need is a computer and some good ideas and you can be manufacturing and distributing your products across the world.” It doesn’t work like that. That’s just too simplified and not even worth $4. Please, it just makes me so mad. The reviews. They have 77% one star reviews. See there, you have a sign already. They have a total of, looks like they have thirteen reviews. The average is two out of five stars. There is maybe one five star review. I guarantee that’s from the author or someone’s dad, someone’s mom. There’s one four star review and everything else is one star. Here’s a couple of good headlines. One star, it says, “The best way to make money with this book.” I don’t understand why it says that. Interesting how all the positive reviews are posted around the same date. Almost as if the author had read about promoting books will boost reviews. I don’t know. “As mentioned by other reviewers there is no insight in this short, ‘book.’ Instead, it’s a promotion for other get rich quick schemes. The best way to make money with this book? Don’t buy and keep your money in the bank.” That’s a good one. Some of the other titles are “scam reviews, scam book.” I’m glad that we’re not alone out there in this opinion. Let’s just talk about how these books get ranks. Amazon is trying to crack down hard on this, but it is still a scam process. I can’t say that there’s any other way. Everyone knows how to hack the system and get your book to be a best-seller. You only have to do three things to make that happened on any product or any book. You have to have an e-mail list of friends and family, social media friends, it doesn’t matter how you got them. Or an e-mail list of people who will do what you asked them to do in return for a favor that you will do what they asked you to do later. There are a bunch of those too. What do you do is you post it up and you say, “I need you guys to go and review on this date,” and then you go with the next group of e-mails and you say, “I need you to do it on this date.” You have to do it for at least three days in a row up to five is better. You want them to buy the book and usually you’ve downed it to as little as possible, like it’s available for $0.99 that day or they get a coupon for it free or it’s available, whatever. Usually it’s free, if you can make it free. But products, you can’t, so you have to give like 90% off. You go in and they buy the book then they review it because it won’t be a verified purchaser. You have to buy it in order to be a verified purchaser. Once you get more reviews, they get downgraded. When you have no reviews, they show anyway but they are not ranked as highly. That’s what happens. People do that and they do it on product and they do it on that. 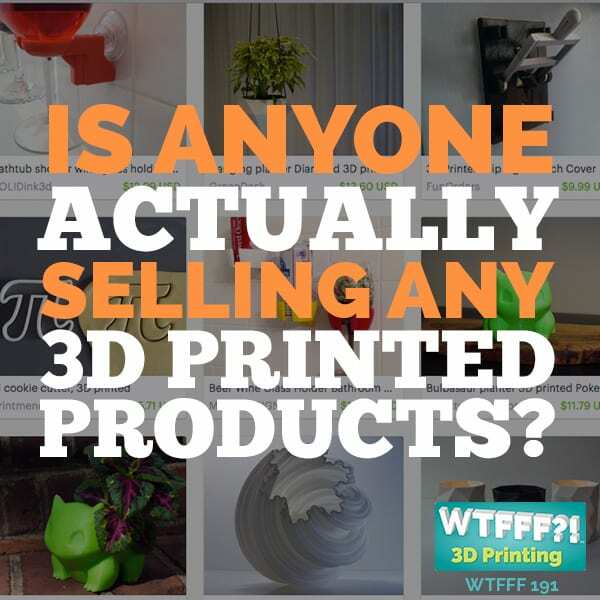 3D Print Get Rich Quick: It’s so easy to hack the system and be a “best seller” on Amazon. The system of doing that actually works because once you’re there then you get more visibility and it tends to build on itself. You can’t stay there if you don’t actually continue to sell books. That’s the thing. With books it’s harder because your ranking gets overall shuffled with all the books in the category, not just the keyword 3D printing. Little bit different in product. In product you can stay at the top because people type in the keyword. In books you end up in the category. It doesn’t quite work the same way in books. You can lose your ranking fairly quickly and drop down in books easier. This book came out more than two years ago, it was in 2014. There were even less books out at that time. I’m sure it was a lot easier to rank. I know we’re obviously just talking about it now here in early 2017. But still, when we come across something like this on Amazon that’s really doing the industry a disservice, it just ticks me off quite honestly. Another tip off is the book is for sale only used and it’s a penny but it cost you $3.99 for shipping. You’re actually paying more to ship it that you are for the book. It’s has Kindle version but they have paper back as well. That paper back is up there as a penny and the $3.99 shipping, which is ridiculous. I can’t even imagine they even bought it. They probably have three. I’m sorry that we’re giving this thing so much air time. The point is not the book itself. The point is what a really lousy author did to try to take advantage of this industry for some other gain in life, some other purpose with other get rich quick schemes or whatever that this book is hocking. I’m mad about it. I don’t like it. I wish this thing was not on Amazon. I want to get it off of there. I think that in this world of so much misinformation and fake news, I really do want to point that out. Because, not only that, but some of these authors that do these guides across all these … This person is a serial author. It’s a get rich quick guide. It’s exactly the same in 3D printing as it is in CNC, as it is in every one of these technical categories. It will be exactly the same book with just the word substituted out of it and just minor changes. They’re called spin books. That’s there. That happens all the time. We see the same thing. We’re seeing spin articles and we’re even seeing our own stuff get trolled with spin articles and other things. When the keyword start ranking, they just go find somebody and they basically just rewrite your post. It’s not an exact duplicate because that would be a red flag. But they’re just basically riffing off of our content or off of others’ contents. We’ve had that happened. But the worst part is that there are a lot of fake bloggers out there, fake bloggers and fake authors. You really have to make sure that they’re legitimate. I get it all the time, that people will friend me on Facebook, friend me on LinkedIn, and I go through and I realize they’re not real people. I have seen these with some of the articles on some other 3D print related sites that are spinning our stuff. We investigated, who is this author that’s writing something so close to what we did? We realized what they did is they have taken our content, writing a spin article. We’ve found out that several of these authors on a competitive site are not actual real people, and you can actually prove that. You can actually prove it because their image comes from stock photos. 3D Print Get Rich Quick: Take this as a public service message if nothing else, beware of some these books. We keep getting some questions from some new listeners, some people that are just new, getting in the 3D printing now. 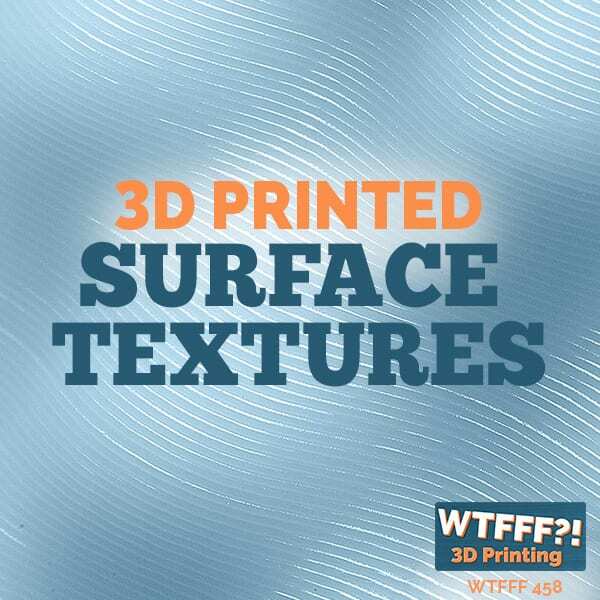 Take this as a public service message if nothing else, is that beware of some these books and read the reviews of a book before you’re going to buy it, especially anything 3D print related. Read the negative and the positive if there are any positive. This one, there hardly weren’t. There was only one. Just make sure that you have some collaborating evidence to suggest that this book is really worth it before you buy it. Please, don’t let this kind of book really sour your interest in this industry if you’re into 3D printing at all. This is just not doing any of us any favors. There is a lot of really great content, there are great authors, all kinds of great materials out there. 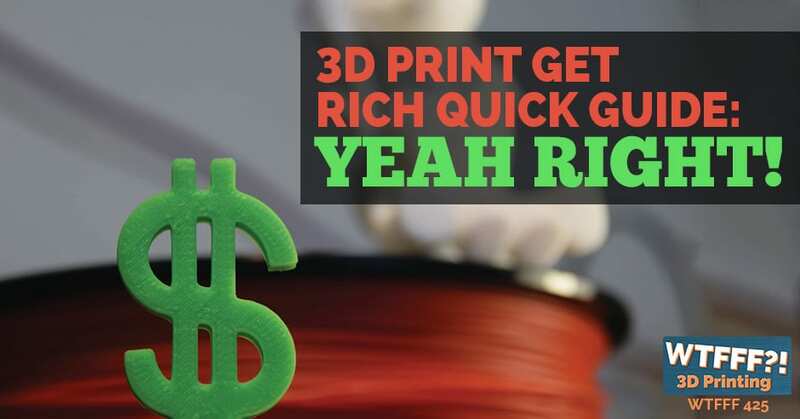 How to get rich quick at home from 3D printing is really not one of the topics that I think any of us should be talking about. No, really, I don’t want to see that one at all. But I am interested in reviewing books. If you guys have some books that you are authoring right now, know of someone, please send them my way. We’re always looking for suggestions for new content, think topics that you would like to hear, people you would like us to interview and companies you would like us to review or products you would like us to review. Definitely reach out to us. 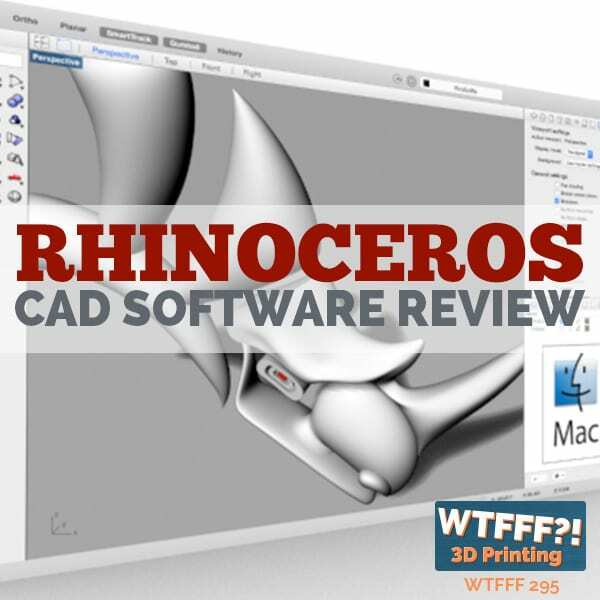 Either comment in the blog post for this episode on 3DStartPoint.com or reach out to us anywhere in social media @3DStartPoint. More and more of you are doing that lately and we really appreciate it. We do read your stuff and we do reply. 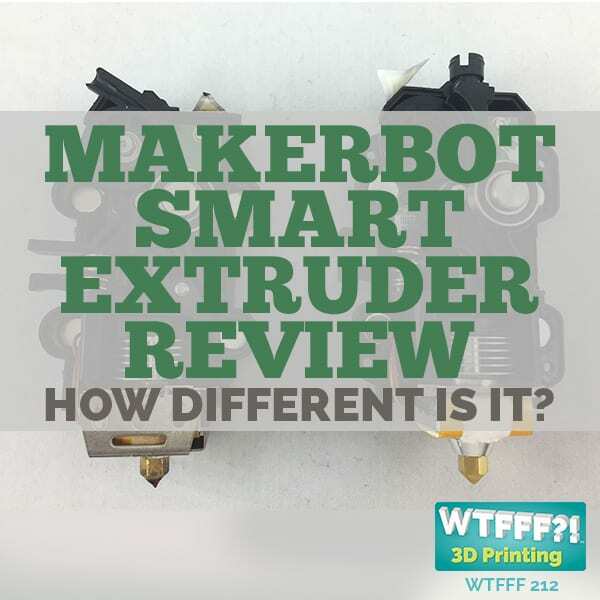 Thanks again for listening, this has been Tracy and Tom on the WTFFF 3D Printing Podcast.